Born in Wadena Saskatchewan, his home later being Scarborough Ontario, University of Toronto student Wilbur Dix enlisted in the RCAF on June 22 1942. From his recruitment in Toronto he had only a short distance to travel to No. 1 ITS located in what was then the North end of Toronto. By October 9th he had been selected for pilot training and travelled to another Ontario training base No.9 EFTS at St. Catharines. By the end of April 1943 Dix had completed his next stage in pilot training at No.6 SFTS at Dunnville Ontario. During this year he also received his commission. As with many of 419 captains F/O Dix assembled his crew at No.22 OTU with the completion of his crew's training at No. 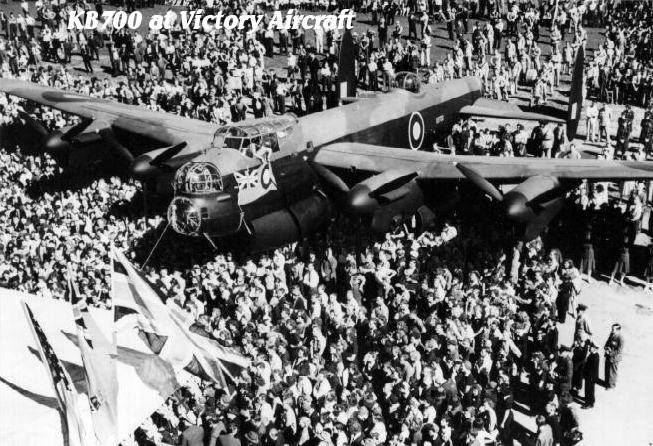 1664 CU, they were posted to 419 squadron on May 2,1944. It would not be until the night of May 27/28 before the crew's first operation for the squadron. In total he and his crew would fly 19 sorties with 419 squadron, Dix before he completed his war time operations with the RCAF would complete 40 sorties. F/O Dix’s devotion and courage and drive to press home any operation brought him a DFC. Although the crew would have many more operations ahead of them, their sixth operation would be one to remember. While on the homeward bound leg of the operation on Sterkrate, around 0141 in the morning at 16,000 feet the rear gunner F/S Jarvis spotted an aircraft at 600 yards out in the light section of the sky. He identified the enemy aircraft as an ME109 on the starboard quarter above their bomber. 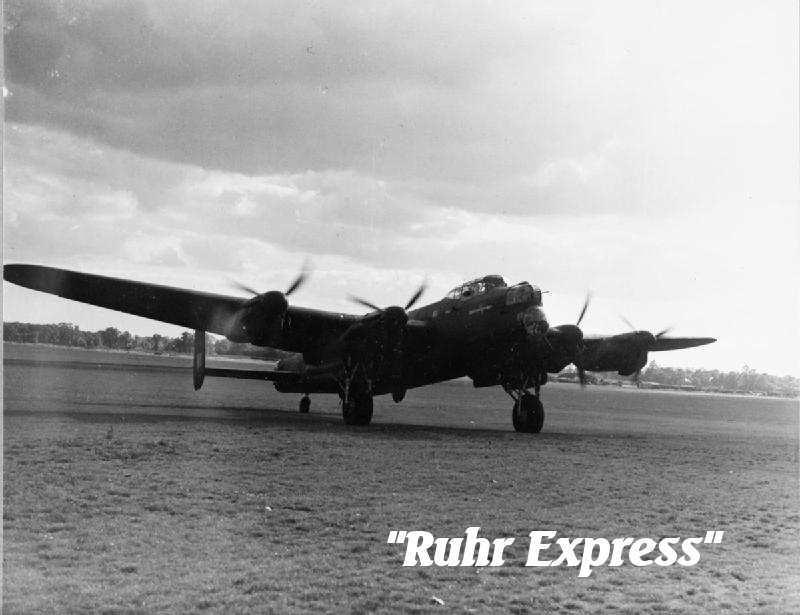 The attacker brought his aircraft around to attack Ruhr Express from directly behind. The Me109 opened fire at about 500 yards then disappeared from sight. Dix took a combat manoeuvre from his rear gunner, corkscrewing to port and into the clouds below. Neither F/S Turner in the Mid-Upper gunner position or Jarvis had the chance to open fire. No damage to crew or KB700 came as a result of the attack. F/O Dix brought the Lancaster back out of the clouds only to be attacked again by enemy aircraft. Taking the same steps he had followed to avoid the previous attacker Dix dove back into the clouds to loose this attacker. Flying through the clouds as cover and feeling they had lost the second ME109 they again broke through to the clear skies only to be attacked yet again. This was the third of what turned out to be five incidents of the same nature until finally the enemy fighter was not seen again. Throughout all of this Jarvis and Turner never had the chance to return fire. The crew of KB700 had escaped injury and KB700 returned to base with no damage. The crew had a tale to tell of their experiences to F/L Wilson the Gunnery Leader during the de-briefing. While VR-Z was busy with her persistent attacker, VR- D "Dorothy" was fighting off advances from a FW-190, VR-H was being attacked by a Do-217 and VR-T's rear gunner made claims of hits on a Me110. With great luck being on their side none of the Moose crew or aircraft were hit.